The Free PST (Personal Storage Table) Viewer is a platform which enables storage of copies of mails, messages, calendar, tasks, etc, within the Microsoft software such as Outlook, Client, etc. There may be instances in which users may need to access files which are available on the MS Outlook platform. However, even without the installation of the same, the viewer can still access email messages, notes, etc, with the help of the Free PST Viewer. The copies of these will appear similar to the MS Outlook format. So, without having to install this program, the user can still access PST files very easily. There may be instances in which the user may forget the location of the PST files in a particular system. To solve this issue, the Free PST Viewer is equipped with the 'Search' option so that there is no wastage of time. With this tool, the user can open and view the messages; however, there is no provision of saving any changes. The software is easy to use and does not require any technical knowledge for the same. 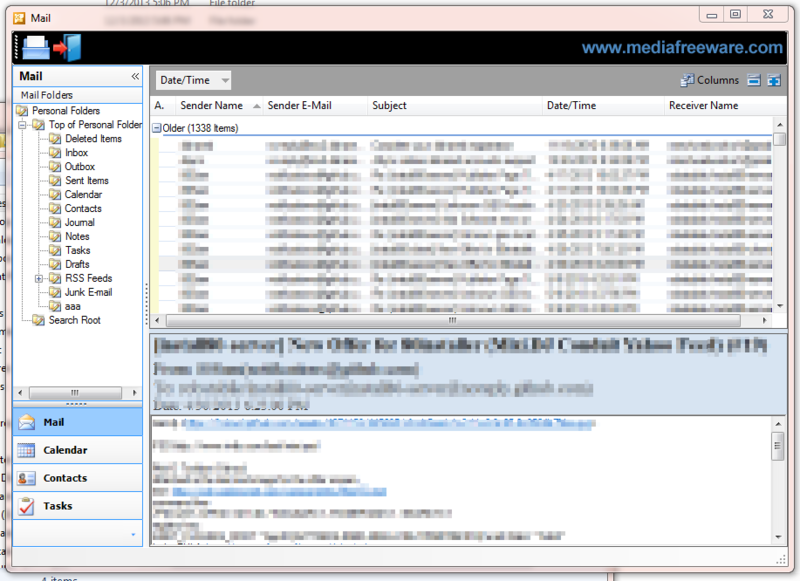 All important displays or folders such as sent mail, deleted mail, outbox, etc. can be viewed with the help of this free PST Viewer. There is no difference in the way these are displayed when compared to Microsoft Outlook. Even if the user has forgotten or does not have the password for the PST files, the same can still be opened with the help of Free PST Viewer. Even those files that are corrupted to a small level can be accessed. Though such files cannot be repaired using this tool, the user can view them all. The Free PST Viewer also captures text messages that are rich with images and/or graphics without affecting the quality in the least.